The Rocky Golf scooter turns the idea of a mobility scooter upside down. 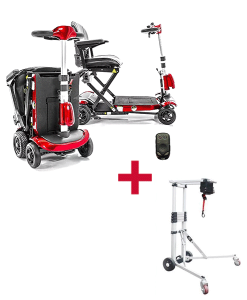 The Rocky 889 Golf is like many other mobility scooters, able to take you places around your home. But the Rocky Golf also allows you to navigate your local golf course while maintaining a reliable and comfortable ride. SKU: S2463. Category: Mobility Scooters.